In this 90-minute workshop, participants will learn how to find and shape stories. You can bring an existing story to shape or find a new story from your life. We will discuss the five main elements to a story and how to discover them. By learning dynamic storytelling elements, you will gain the tools to pull short stories out of everyday life. This will be an interactive workshop with a mixture of presentation, 1:1 dialogue and small group work. 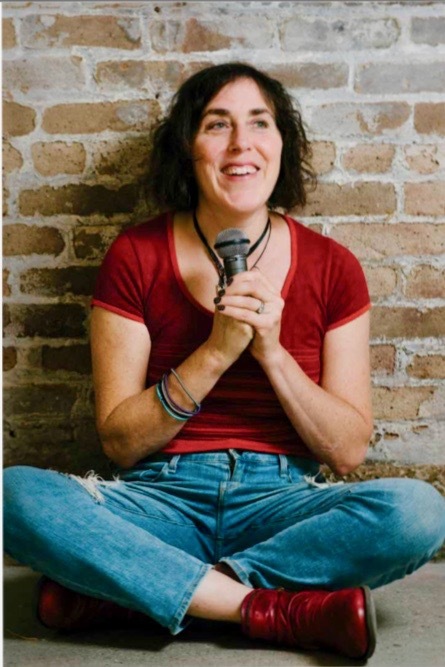 Jen Rubin is a former New Yorker who leads storytelling workshops around Madison, co-produces the Moth StorySlam in Madison, teaches the occasional social policy class at the University of Wisconsin School of Social Work, and works at the Wisconsin Historical Society Press. She has recently published her first book, We Are Staying: Eighty Years in the Life of a Family, a Store, and a Neighborhood. Jen is an obsessive maker of mixed tapes and quite possibly the best challah baker in Wisconsin.